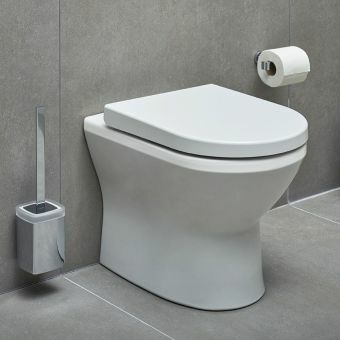 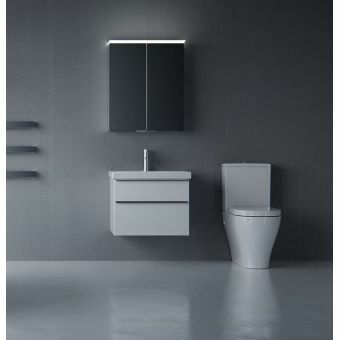 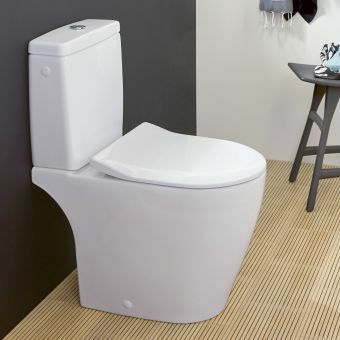 The VitrA Integra close coupled toilet comes in a variety of different configurations, this option is the open back, rimless model. 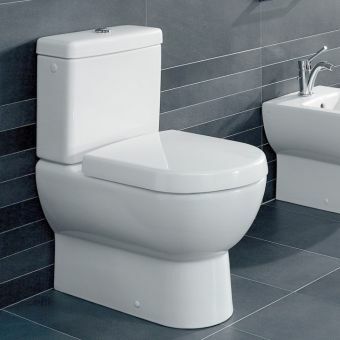 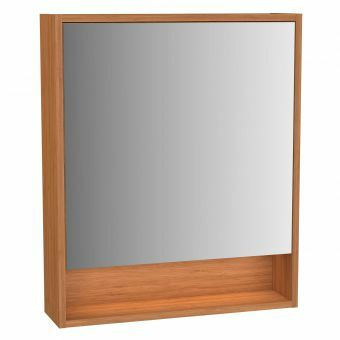 The open back style has a toilet pan with an open section at the bottom of the pan to allow the soil pipe to be brought out horizontally if required. 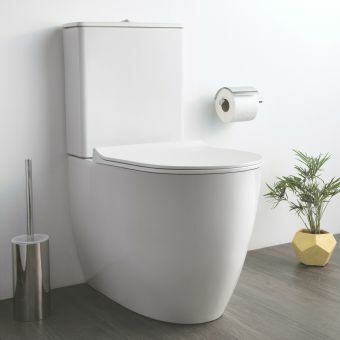 The rimless element of the toilet bowl is a newly developed and very popular option which not only makes the toilet bowl much more hygienic as dirt and germs have no recess to hide in, but it is also much simpler to clean. 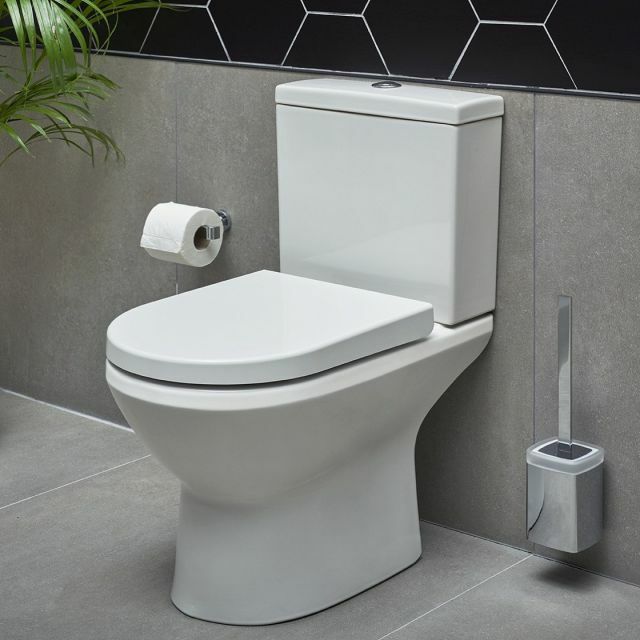 The cistern gives a strong reliable flush, with a dual flush button allowing a smaller flush to be selected when required, saving water and lessening the impact on the environment. 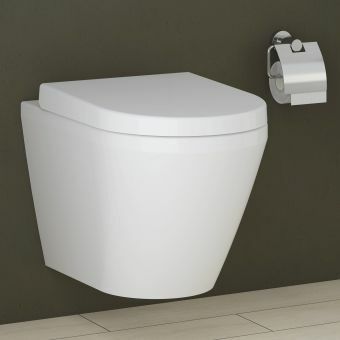 The design of the Integra close coupled WC is modest and current, with a simple quality that will see it last the test of time. 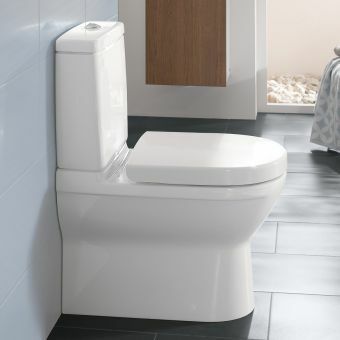 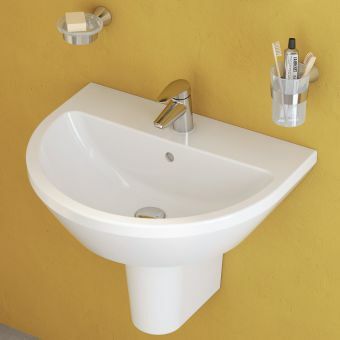 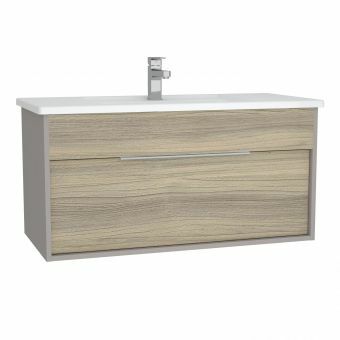 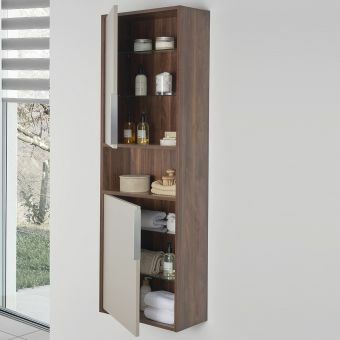 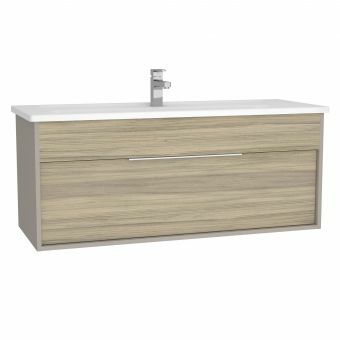 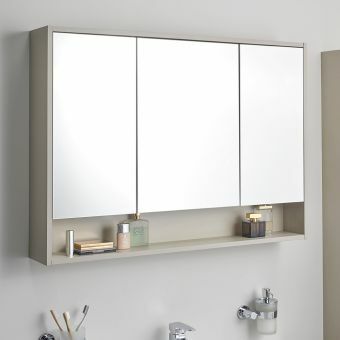 Its accessible price point offers fantastic value for money for an up to the minute rimless designed, high-quality ceramic from a respected, globally leading bathroom brand: VitrA.